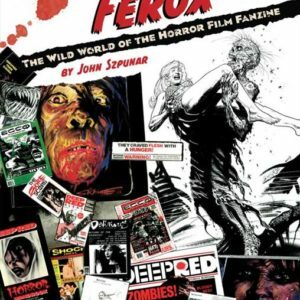 JOHN SZPUNAR is the author of the Rondo Award nominated Xeroxferox: The Wild World of the Horror Film Fanzine (Headpress, 2013) and co-editor of Famous Monsters Chronicles II (FantaCo Enterprises, 2016). He is a regular contributor to Weng’s Chop, Monster, and Evilspeak Magazine. The first and final word on the story of the horror film fanzine -- a literary Wild West -- from its roots in the mimeographed sci-fi mags of the 1930s to today’s prozines and blogs.